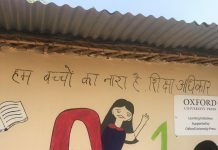 New Delhi: ‘Development of rural areas should not erode their unique identities but must fortify their spirits. The facilities in villages must resemble those of a city but the soul and the values of Indian villages, must be preserved’, the Vice President of India Shri. M. Venkaiah Naidu said today. 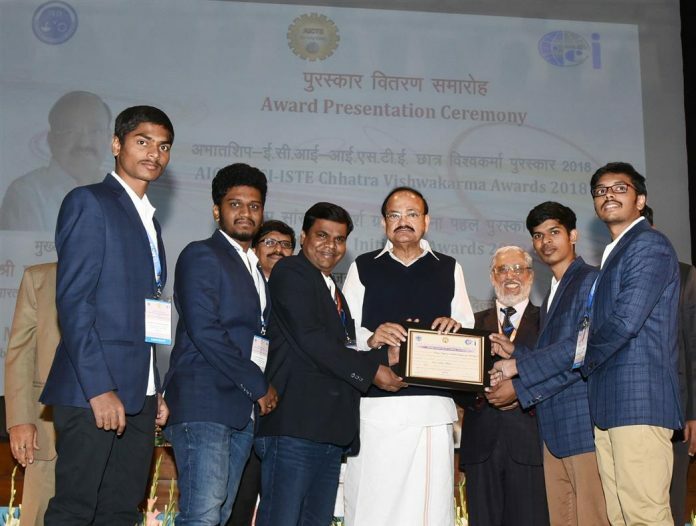 He was addressing the gathering at the presentation ceremony of AICTE-ECI-ISTE Chhatra Vishwakarma Awards and AICTE- SAGY Initiative awards in New Delhi today. Shri. Naidu said that ‘One size fits all’ approach will not ensure development in a vast and diverse country like India. ‘Every village has its own individuality, its own industries & its own developmental needs. Our plans should capture aspirations of the people, leverage their strengths & mitigate their weaknesses’, he reasoned.